The $8M grant, given by the National Heart, Lung, and Blood Institute, will support a project in which the research team will use bioengineered stem cells and tissue to create a functional heart patch. 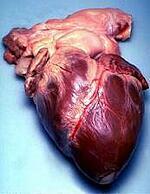 The patch will restore function and prevent heart failure that can be caused by a heart attack's damage. One in every seven deaths in the US results from coronary artery disease, so this is certainly a worthwhile effort. Since a heart attack kills part of the muscle wall, and the heart cannot regenerate muscle tissue, heart attacks often leave patients with dead heart tissue. This can strain the rest of the organ, leading it to become enlarged and prone to failure. The bioengineered patch will restore function by preventing the lethal enlargement from occurring. The study will involve research teams from the University of Alabama at Birmingham, Duke University, and the University of Wisconsin. At the University of Wisconsin, researchers will develop new heart tissue progenitor cells, cells similar to stem cells in that they can differentiate to form one or more kinds of cells. These novel cells will be able to conduct electrical signals to create a smooth heartbeat. The Duke researchers will use these cells, along with novel “universal human iPSC cell lines” from UAB, to develop the heart-tissue patch. The UAB team will study the effectiveness of the cell therapy. The researchers involved with this study will encounter many experimental challenges, as previous work to implant cells in damaged hearts has shown little success. The research team will need to determine the optimal mix of cell types to include in the patch, as well as engineer the patch in a way that will allow its contractions to synchronize with the patient's heartbeat. And although the cells used will be developed with altered immunogenicity, the researchers will need to learn how exactly the immune system will respond to the patch, particularly if the patch tissue is derived from a donor. The study will be led by Dr. Jianyi Zhang, the chair of UAB Biomedical Engineering, Dr. Timothy Kamp, a professor of medicine at the University of Wisconsin and co-director of the Stem Cell and Regenerative Medicine Center, and Dr. Nenad Bursac, a professor of biomedical engineering at Duke University. 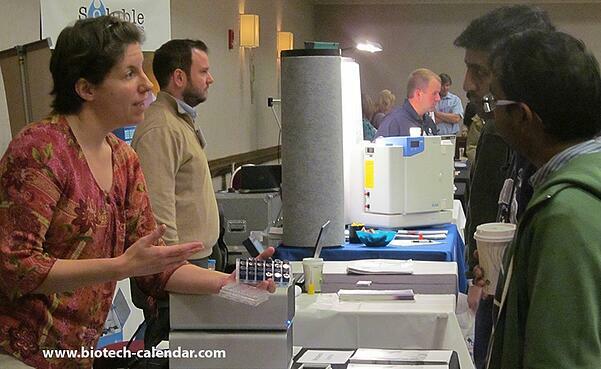 On November 9th, 2016 Biotechnology Calendar Inc will host the 17th semiannual BioResearch Product Faire™ event held at the University of Alabama at Birmingham. This event allows laboratory equipment suppliers and chemical supply companies to meet with researchers interested in finding the best and newest lab supplies and technologies to use in their life science labs. To learn more about participating in this trade fair event in Birmingham, please visit the link below or call (530) 272-6675. 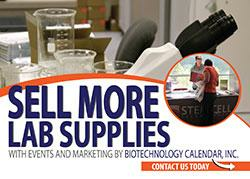 Alabama Lab Product Sales: "Excellent Attendance from All Across Campus"